MAYS LANDING, N.J. -- A New Jersey politician who shared a meme on Facebook during January's Women's March in Washington asking whether the protest would be "over in time for them to cook dinner" is eating his words. A woman who was angered by Republican John Carman's remarks on Tuesday defeated his bid for a second term as an Atlantic County freeholder. 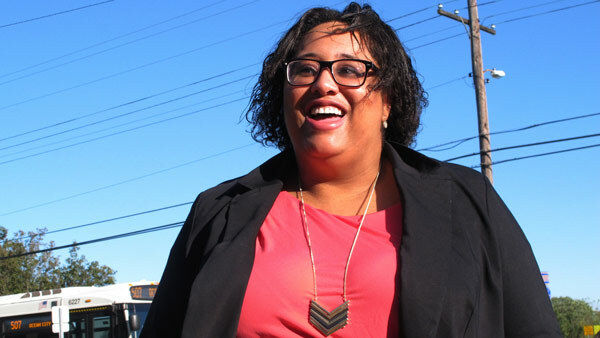 Democrat Ashley Bennett is a first-time candidate. The 32-year-old Egg Harbor Township resident works as a psychiatric emergency screener in the crisis department at Cape Regional Hospital. Carman said the meme was "a bad choice" but said the women in his life were "strong and confident" enough to not be offended by his joke. He apologized a few days later. He later drew more criticism for wearing a confederate flag patch.